Run CCSM and under "Ubuntu Unity Plugin" change the key binding for "Key to show the launcher" to something else (e.g. Super+U). Then log out and in again. As long as no compiz plugin is bound to the single Super key any more, compiz will no longer block other apps from binding to Super+other_keys. 1. Write a script or figure out the command to do the action you want. 4. In the Commands settings, fill in the command line you want and bind it to key Super+P. Now Unity will run your specified command on Super+P, but still handle the Super key as usual. [Test Case] Attach an external monitor to the laptop, press Super+P, it should do the video switch as this function is implemented in gnome-settings-daemon. A patch in comment #12 is now accepted upstream and a test package with that patch is available in comment #14. From the test result, the patch at least fixes Unity-2D. [Regression Potential] The patch is accepted upstream and is also cherry-picked in the gnome-3-4 branch of g-s-d git tree. g-s-d version in Precise is 3.4.2. So the risk of regression should be rather low. [Other] I prepare a debdiff in comment #31 for convenience. I hope the patch can be in both Quantal and Precise. Using : 12.04 Beta 1, updated. and Unity. - the function key (Fn) + (F1) allowed to switch between the laptop screen and the external monitor. After upgrading to 12.04 this no more works and instead I get an unexpected behavior: see the video. Yes, pressing FN-F1 just shows the unity launcher for me too. 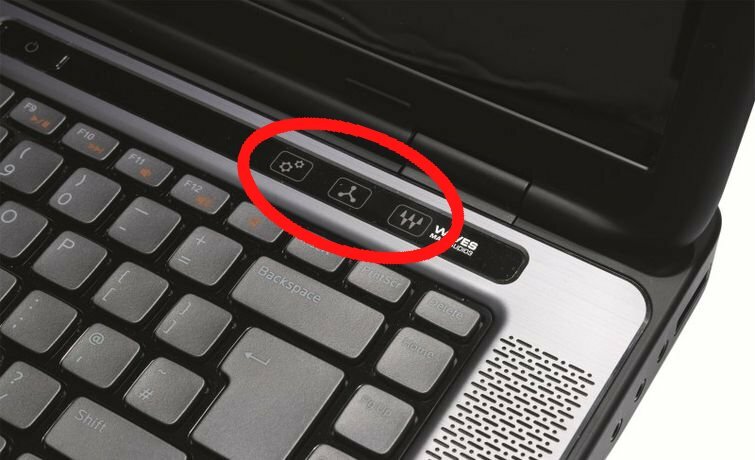 (Although I never tried it on 11.10, so I don't know what it used to do, the symbols on the keys certainly indicate that it should toggle laptop and external monitor modes). In 11.10 it definitely used to switch between the two monitors (laptop screen and external monitor). (I tried recently 11.10 on another L502X and the (Fn + F1) worked just fine. In any case, in 12.04 ( Fn + F1 ) is the only BIOS key combination that does not work. Yet, it is a vital feature for multi monitoring and those doing presentations frequently. I still do not know wether it's a kernel issue or just that the new Unity Hotkeys implementation conflicts with the Dell XPS 15 BIOS keyboard shortcuts. Also having this issue since upgrading to 12.04. Any solution? it use to work fine with 11.10 on my HP laptop. My combination is usually FN + F4 though. 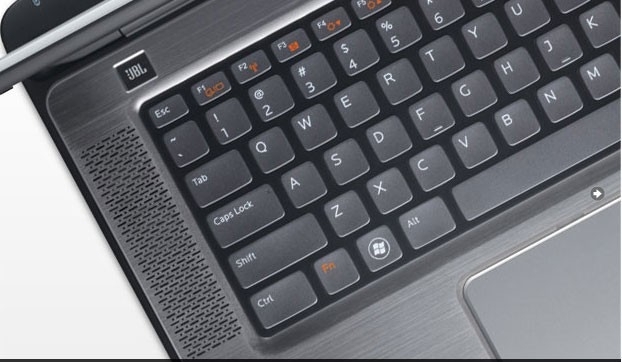 Aditionaly for DELL XPS l502x the special function keys, these above the keybord is incorrect (see the picture). I mean that the keys behavior is incorrect. They are probably wrongly mapped. But as they had the same behavior in 11.10, I thought about filing a new bug later. If you want you can file a separate bug. This was fixed in gnome-settings-daemon according to bug 539477, perhaps a regression in there? It is likely that the key generates two key codes (Windows key + P) and the windows key triggers the Unity launcher. Personally I found that Super+P key combination for switching the video output no longer works in 12.04. It will be very appreciated if anyone can review the attached patch, and it fixes for me. A g-s-d package with the patch is uploaded to https://launchpad.net/~lexical/+archive/gsd for testing too. The attachment "mod4_modifier_videoswitch.patch" of this bug report has been identified as being a patch. The ubuntu-reviewers team has been subscribed to the bug report so that they can review the patch. In the event that this is in fact not a patch you can resolve this situation by removing the tag 'patch' from the bug report and editing the attachment so that it is not flagged as a patch. Additionally, if you are member of the ubuntu-reviewers team please also unsubscribe the team from this bug report. without unsettling the original state value. The attached patch is confirmed to make the super+P key works. I formed another patch and had it in the upstream bug for review. The patch in comment 12 is accepted and waiting for committing (https://bugzilla.gnome.org/review?bug=676300&attachment=214634). A gnome-settings-daemon package with the patch in the comment 13 is available at the PPA (https://launchpad.net/~lexical/+archive/gsd/) for testing. Just installed (gnome-settings-daemon_3.4.1-0ubuntu1.1kengyu2_amd64.deb) and tested but in vain. Still the same behavior. Neither ( Super + P) nor ( Fn + F2) work. You will have to restart gnome-settings-daemon to make it work. The simplest way is to log out and log in again. Well, That's what I did, I rebooted before testing. But the problem remains. I am going to give it another shot again. Thanks for your appreciated feedback. Test g-s-d 3.4.1-0ubuntu1.1kengyu2 in https://launchpad.net/~lexical/+archive/gsd/ PPA on a HP model. Fn+F4 is expected to switch between monitors and it didn't work. Fn+F4 works after installing g-s-d 3.4.1-0ubuntu1.1kengyu2 with the patch Kent-Yu provided. On my Dell Precision M4400 the monitor switch key is Fn+F8. I tried the new g-s-d 3.4.1-0ubuntu1.1kengyu2 from the ppa provided, but no luck. My symptoms are exactly the ones described in https://bugs.launchpad.net/bugs/539477. I retried again with the patch, it does not work on the Dell XPS 15 as specified above. Ubuntu 11.10 works just fine. XLookupString gives 1 bytes: (70) "p"
XmbLookupString gives 1 bytes: (70) "p"
After a few rounds of testing, I think there is different result to run g-s-d with and without the "--debug" argument. However when testing without killing the g-s-d process first and without the --debug argument. The video switch does not work. This could be a race of grabbing the key or some timing issue as it seems. with the g-s-d package in my PPA installed and log in Unity-2D, the super+p works well as it makes the video switch. So this could be another bug in Unity causing this. So the fix works for Unity2D session and not for Unity(3D). probably compiz is doing something here. made the patch work for Unity 3D temporarily. I had a similar output as in comment #22 (xrandr Identified monitors...etc) and the monitor switch also worked. After logout/login, the patch is no more effective for Unity 3D. I also noticed that there was a second instance of compiz running with a huge memory consumption (if the debugging command is triggered). Case 2 : The patch work fine in Unity 2D. (Fn+F1) and (Super + P) do work fine. This is a regression of bug 704231. However Unity in its current form needs to take over Super+everything in order to accurately detect Super key taps. So unless we change the Unity dash to use some other key than Super, this bug can't be fixed right now. Daniel, I understand why Unity is doing that, but that leads to a serious implication that on the many laptops which already have the video switch hotkey sends super+p, the hotkey now becomes non-functional. Workaround: Run CCSM and under "Ubuntu Unity Plugin" change the key binding for "Key to show the launcher" to something else (e.g. Super+U). Then log out and in again. As long as no compiz plugin is bound to the single Super key any more, compiz will no longer block other apps from binding to Super+other_keys. 1. Write a script or figure out the command to do what you want the action to be. summary: - Unity blocks other programs from receiving <super> key-press events. For the g-s-d part, the patch has arrived in the upstream git. So I would like it have it in Ubuntu too. (At least it fixes Ubuntu-2d). debdiff attached, I will need sponsoring too. And I want to know what has changed in 12.04 Unity with regard to the Super key, because the "Super+P" key sequence, which is sent by the video out hotkeys, has been working fine in 11.10 and before. Anthony, "what has changed" is described in comment #26. Confirmed lexical's patch also works for Unity 3D in Precise (12.04). I would test patch from http://launchpad.net/~lexical/+archive/gsd/ but I can't install deb because I apparently have newer version instaled few months ago gnome-settings-daemon 3.4.2-0ubuntu0.2 :/ Will it work if I change version number in deb filename? Uploaded the fix to precise-proposed, waiting for review by the SRU team. I could not find the fix in precise-proposed, could you point out where I can find the fixed deb for precise? I found the package in upload queue. Accepted into precise-proposed. The package will build now and be available in a fewhours in the -proposed repository. gnome-settings-daemon - 3.4.2-0ubuntu9 does not fix the Super+P issue on some machines. Another factor of this bug is in compiz (bug 741869). How are these two bugs different, this and bug 7419869? We know that there is a workaround that if you start g-s-d after compiz starts, you _can_ use super+p to switch the monitor. We're not sure if this is the way it was done in 11.10 and if that's why it works in 11.10 but not in 12.04. However, the easiest fix is probably to make sure that g-s-d is started after compiz in whatever application starts both. For the oem-prio task, I am going to leave incomplete until I have an answer to comment #65 about how bug 7419869 is a duplicate. Bug 950160 and bug 741869 are different. Bug 950160 has affected 3 projects now. It is quite confusing to follow since many bugs in different components are involved. Keng-Yu's g-s-d patch only fixes the issue in Unity 2D and Gnome shell. It has nothing to do with Unity 3D. Unity3D/Compiz has a design issue which also contributes to this bug. They should not prevent g-s-d from receiving the Super key event. Please note that workaround #2 as mentioned in the description of this bug does not work reliable on many machines. bug 741869 targets Compiz. It is the main cause why Super+p does not work in Unity 3D. Comment #7 in bug 741869 points out a possible direction how to fix it. Well, this bug is about unity (actually compiz) capturing the super key as well. I think one should be duped to the other, especially considering that the g-s-d portion of this bug is already closed. In my limited testing, I've seen no negative consequences. I'll run it for a few more days and let people know. If anyone has a 11.10 installation, please paste the output of 'ps axf'. The most important bit is which started first, compiz or gnome-settings-daemon. It seames whichever starts later gets to grab the event. Note this does not fix Super+* in the general case, but from testing g-s-d any application that starts later should have priority and be able to successfully grab the event. I tested your workaround on some machines from different vendors, which used to have this super+p issue. I confirm that it can fix the problem. The comment above is contrary to Daniel's comment in #55. James may be right that whichever starts later gets to grab the event. @OEM-priority: is this issue still happening? Yes, the issue is still happening. I don't know the specifics of XkbStateNotify events, but it seems that whatever registers the key the latest gets priority. Thus, if g-s-d starts after compiz, it will get Super+p events, even though Unity (compiz) still gets the Super key when pressed in isolation. The fix to g-s-d didn't fix the underlying problem of Unity swallowing Super+p, just that if g-s-d gets the event it'll do the proper thing. Let me know if you have any more questions. I just tested my old oneiric install. gnome-settings-daemon starts before compiz, yet oneiric is not affected by this issue, so the change must have happened somewhere else. In both cases where it works, a "p" is still echoed to the window that has focus. At least as far as the regression aspect of it goes, this seems to have nothing to do with unity. Though we could work-around it in unity using the aforementioned solutions. It's likely that a change made somewhere else in the stack is what causes the regression. We've come up with an entirely different idea that might fix this bug. Now investigating with Brandon. Brandon's fix has been approved and is coming soon. Note however it only works for Super and not Alt. The fixes landing soon on trunk should not be backported to quantal before 12.10 is released. The risk of regression is at least medium. We should aim for Q-SRU-0 or later. Hi Daniel, this is great news. Thank you for the hard work in getting this resolved. Please don't unlink branches, even if they're superseded. The links provide a permanent paper trail for people trying to understand the history of a bug and its fixes. Particularly important for people who are trying to backport fixes later. Pushing to SRU-1 at least regarding quantal, will need a lot of testing. To install the unity/compiz packages I used 'apt-add-repository ppa:unity-team/ppa' then apt-get update && apt-get install unity compiz. After installing these packages and rebooting, I observed that the function key for monitor-switching (Fn-F1) did not cause the video output to switch. Instead the super key seems to be consumed by Unity and the 'p' key is passed to applications - resulting in a stray 'p' being typed into whatever terminal/text box/application has focus. based on the milestone, I think you need at least unity versoin 5.18.0 to fix the problem. James: 5.18.0 has not been released, but Steve was testing from a PPA that had a version of the supposed fix. 1) The display switch hotkey now works; pressing it cycles through video modes as expected. The 'p' character is not emitted. I think the side effect needs to be fixed. That regression is what I feared. However the dash should only open if you have tapped Super very quickly. Maybe we need to reduce the timeout that Unity uses, since (in order to fix this bug) we can't use reliable tap detection from Compiz any more. The user never touches the super key in the scenarios we care most about; the user only presses the display switch hotkeys on the laptop. Maybe this is not relevant, and reducing the timeout in Unity will still help. It seems like an important detail though. Note that in our testing in comment #86, the dash still opens if you hold the 'F1' for ~1 second - it does not have to be a quick tap. Fn+F1 on Dells actually sends Super+P. However I don't know if some models send it as a quick Super+P tap or the virtual keys are held for the duration of Fn+F1. But the point is that "Fn+something" is not a real key. It maps either directly to some hardware feature or to some other real combo like Super+P. You may well get a quick tap of Super+P when Fn+F1 is pressed. 2. Key press timing in Unity. If Super is down too long then ignore it. So #2 is all we have left. I'm experiencing this issue on ubuntu 12.10 (it seems this bug carried on from 12.04) on a Dell Inspiron 14z. The fn+f1 combo doesn't bring the display switching dialogue and now that you guys mention it it seems to be sending the super+P combination. What is the recommended fix right now? Or is there another key combination that works for the switching display that I could use? The recommended workaround is "WORKAROUND 1" listed at the top of the bug. Is there any way to programatically invoke the dash from an application? If yes, where can I find information about it? @Nicolay Doytchev: This is not a support forum. Please ask your question on either the Ubuntu Forums  or an Ask Ubuntu . In fact, you may find a thread where someone else has already found the answer. @Paddy Landau: This is not a support question. I could try to write a program to workaround this issue as well as a related one tracked in another bug report. I could not find relevant information at those places prior to my posting, barring one saying this is not possible, dating in 2011. Having in mind the fast pace of development of this software package it is conceivable something has changed and clearly there are folks here who understand the Unity source and it's very likely they would know whether this is possible or not, or where the magic API page is. Note the side effect bug #1091623 caused by the current fix in raring. SRU for quantal/precise depends on getting also that issue fixed. This is fix released in Compiz 0.9.9.0. But Launchpad is giving me strange errors and preventing me from marking it as such. maybe I'm doing sth wrong, but I've disabled many settings in CCSM, Launcher's launched via a non-super shortcut; still, I can't get super to work in a custom keyboard shortcut. The WORKAROUND 1 doesn't work when using Unity 2D. Seems like there is no way to disable Super shortcut on Dash in Unity 2D. However, as long as the combination is not used by Unity, I can assigned it to other command. Example: Super+C works for copy in Terminal, but Super+V not work, as it show Dash Search Video. Dropping the oem-priority escalation; OEMs are shipping a workaround. Is this a duplicate of bug #741869? Unity: How can i make fn+F7 (hotkey) work with unity?